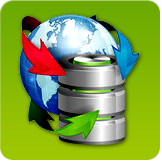 MSSQL to MySQL database converter software converts MSSQL data base records into MySQL database. Software supports all types of data types and attributes like primary key, indexes, null value, default value etc. MySQL to MSSQL database converter software can convert entire or selected MySQL tables into MSSQL database record. Database migration program supports Unicode architecture and maintain database integrity. MS Access to My SQL database converter software can convert MS Access db records into MySQL database records. DB conversion program provides option to convert password protected access database into My SQL database records.